Dance News Montreal, Quebec, Canada is the central reporting site between Dance - Montreal Night Life ( NightLife ), RMC and Dance 4 America, as well as other sittes for more detailed and in depth reporting. The dance school Le Ballet Théâtral de Montréal, founded and directed by Monique Goyer, is please to announce that it will take part in the fund raising event “DANSEZ POUR LA VIE” (Dance for Life) hosted by the Quebec division of the Canadian Hemophile Society, this event will be on the 14 november, 2009. With the purpose of collecting funds to help people afflicted by a hereditary blood coagulation problem or the diseases caused by contaminated blood transfusion, Le Ballet Theatral de Montreal is proud to present 3 performances of different styles danced by its teachers. À la barre : a short modern ballet dance by Monique Goyer executed by the inseparable duo of Valérie Lacroix and Mélanie Ermel. Tango de Malaga : a flamingo choreography of the superb Hedi Arquilliere danced in solo by Mélanie Ermel accompanied by the singer Lucie Trudelle and the guitar player Christ Cucuzza. And, it is an honor for Le Ballet Théâtral de Montréal to welcome BUTTERFLY : a brand new tap dance creation composed and performed by our guest artist of international renown : Tavis Knights and by his beautiful partner from Le Ballet Théâtral de Montréal, Tanya Rivard. We are proud to figure among the team of dancers who will brighten up this cause during the presentation offered at l'Espace Dell'Arte, 40, Jean-Talon East street, on the 14th November, on the stroke of 20h00. girls aged 14 and over, measuring between 1.52 m (5 ft) and 1.68 m (5 ft 6 in). girls aged 10 to 13, measuring between 1,37 m (4 ft 1/2 in) et 1,57 m (5 ft 2 in). girls aged 12 and over, measuring between 1.54 m (5 ft 1 in) and 1.70 m (5 ft 7 in). 5:30 – 7:30 p.m. Angels: girls aged 12 and over, measuring between 1.57 m (5 ft 2 in) and 1.70 m (5 ft 7 in). 7:30 – 9 p.m. Rats: girls and boys aged 14 and over, measuring 1.57 m (5 ft 2 in) and over. 10 a.m. – noon Children at the Party (girls): girls aged 9 to 11. Noon – 1: 30 p.m. White sheep: girls aged 9 to 11. 2 – 3 p.m. Children at the party (boys): boys aged 9 to 13. 3 – 4:30 p.m. Mice: girls and boys aged 7 to 9, measuring between 1.10 m (3 ft 6 in) and 1.30 m (4 ft 2 in). Ballroom Dance Classes Montreal, Quebec, Canada. Latin Dance Classes Montreal, Quebec, Canada..
Montreal Swing and Lindy Hop Dance Classes . Hot Hip Hop Action in Montreal, Quebec, Canada. 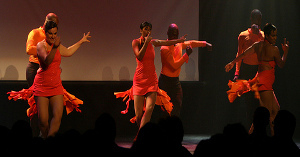 Latin Dance Classes Montreal, Quebec, Canada .